What Is This Trippy Burst Of Light? This is not a screensaver. Nor is it what happens if something goes wrong at the LHC, or the result of too much LSD. In fact, it's what happens if you have an over-active imagination and go out light paining with a remote control helicopter. 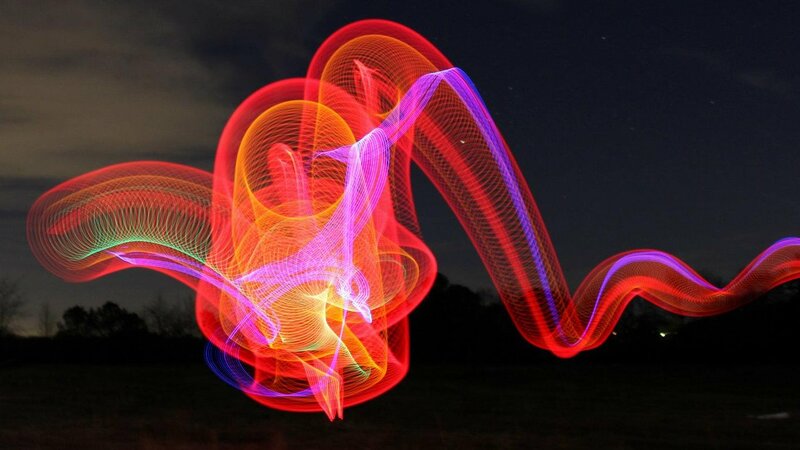 Destin, from Smarter Every Day, recently took one of his RC helicopters out at night. Loaded with coloured lights, it did a good job of lighting up the sky — but taking long-exposures resulted in some crazy images, just like this one.